Keeping your sales pipeline squeaky clean and properly managed is pivotal for the success of your business. 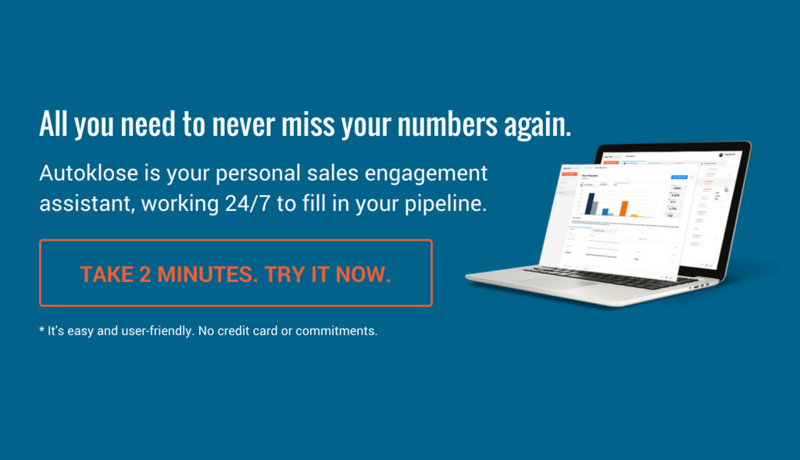 You don’t want your water pipelines clogged, and the same goes for your sales pipelines. In other words, keeping stale opportunities that are in the pipeline for too long only slows down your business flow. There are several strategies that will help you qualify leads and push them down the funnel, towards conversion. We’ll discuss a few simple methods of pipeline management. First of all, you need to create a pipeline. Identify your prospects and collect as much information about them as possible. Services which specialize in the field of lead generation and customer intelligence can provide you with the valuable information thus giving you a competitive advantage. 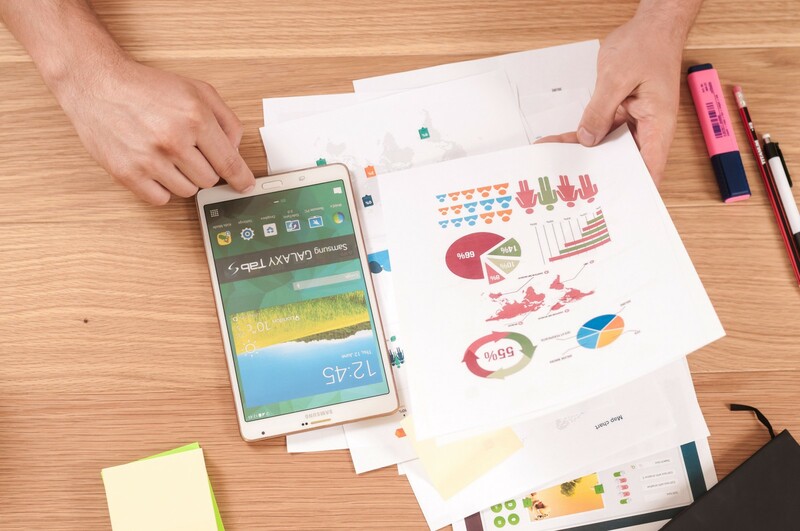 It’s absolutely necessary that you collect accurate customer data — contact information, understand why they’re interested in a particular product, and estimate the value of the deal as well as the closing date. All the information for each individual prospect should be compiled, analyzed and stored in your database. That’s how you’ll be able to create a successful proposal and follow-up. The accuracy and relevance of your database are fundamental, as incomplete, outdated or incorrect entries can not only waste your time but also pose a security threat. Hoarding prospects in the pipeline gives you a false impression that you’ve got numerous sales opportunities that only have to be finalized. In reality, your overstuffed pipeline will only prevent you from devoting your attention to potentially profitable deals. If you want to close a sale, you need to be completely focused and dedicated to each particular case, and your jammed sales pipeline will only distract you from that task and create additional stale prospects. A thorough spring cleaning is what you’ve got to do if you want to have everything under control. Don’t hesitate to ask your prospects if they even consider the idea of making a purchasing decision within this month. It’s better to clear the air than to waste time and resources on a sale that’s never going to happen. This may come as a surprise, but a sales pipeline isn’t all about selling. There’s also a bit of educating during the process. Needless to say, you need quality content such as various manuals, how-to guides, white papers, instructive articles or useful advice, since that’s how you educate your prospects and bring them one step closer to making a purchasing decision. Regard the content that you offer to your potential clients as a kind of a tester. It’s a very efficient method of promoting your brand. Of course, the content you produce has to be related to your products or services, and in order to create the right content you need to have accurate and detailed customer intelligence. Collecting and analyzing information about your potential and existing customers is at the core of the sales process so it has to be carried out very meticulously and thoroughly. Sales pipeline management couldn’t be performed without a detailed analysis. In order to be able to plan your strategy, you need to know exactly what (and how) converts leads into sales. Once you realize what the main ingredient was essential for your previous sales, and what didn’t work, you’ll be able to repeat and improve successful moves and eliminate the actions which led to lost sales. For example, you should establish the approximate closing date or a period during which a lead turns into a customer, and it can vary between a few days and a few months depending on the industry. This is important for estimating how fast each stage of the sales cycle should progress. Track your performance and measure the effectiveness as that will allow you to forecast results and improve your strategies accordingly. Neglecting follow-up activities is one of the most common mistakes that companies make. Statistics say that only 2% of sales are closed after the initial contact, which means that a persistent follow-up is of vital importance for finalizing the sale. This practice is also significant for building up trust and strong relationships with your prospects. You need to convince your potential customers that they’re making a right decision, and if you don’t follow up that won’t be possible. Various studies show that as much as 80% of non-routine sales occur only after at least 5 follow-ups. Persistence is the key to success, so don’t give up after the first or second “no”. Using automated follow-up emails and reminders will boost your efforts.